The Study lamp is on, the writing desk all lined up awaiting the new article. The previous blogs have mostly been on Health and Healing so wanted to just do a general heart to heart with all of you specially after this beautiful travel.This month has started with a very exciting travel schedule.My Journey to one of the most amazing spiritual destination in the Himalayas.This blog is my inner conversations during the stay at the spiritual abode of lord Vishnu The Badrinath Dham. 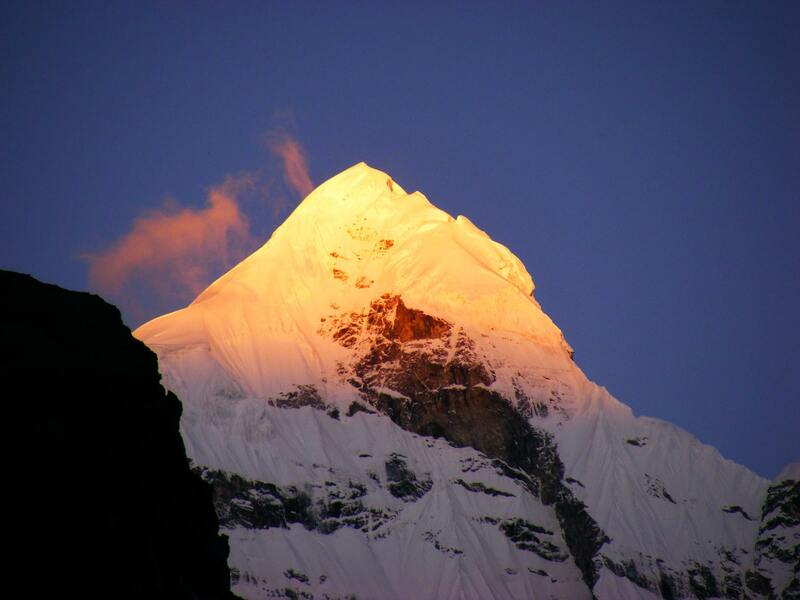 The Himalayas has been the meditation place for many Spiritual gurus, enlightened beings and in Hindu Mythology it is the abode of Lord Shiva and has a huge spiritual significance. It is said till date there are millions of Sages still meditating to help the evolution of humanity. During the trip there was so much for me to absorb and experience that there was a subtle anxiety, yes anxiety , this journey will end soon ; there was a resistance to leave the place . Somewhere a wish that this experience should continue for long as I seriously didn’t want this to end. The serenity and energies of the place are extremely energizing and healing. Many Spiritual seekers have met enlightened beings en route Badrinath Dham, modern mystic of our time Sri M (Book: Apprenticed to a Himalayan Yogi), Yogiraj Siddhanath (Book:Wings of Freedom), Yogananda Paramhansa (Book:Auto biography of a Yogi) all have a written account of their journey in their books while traveling to this spiritual heaven. Iinterestinglythis trip was in my to do list but this will happen so suddenly I had no idea. The trip was an invitation from friend but today I can only appreciate the way this trip happened. 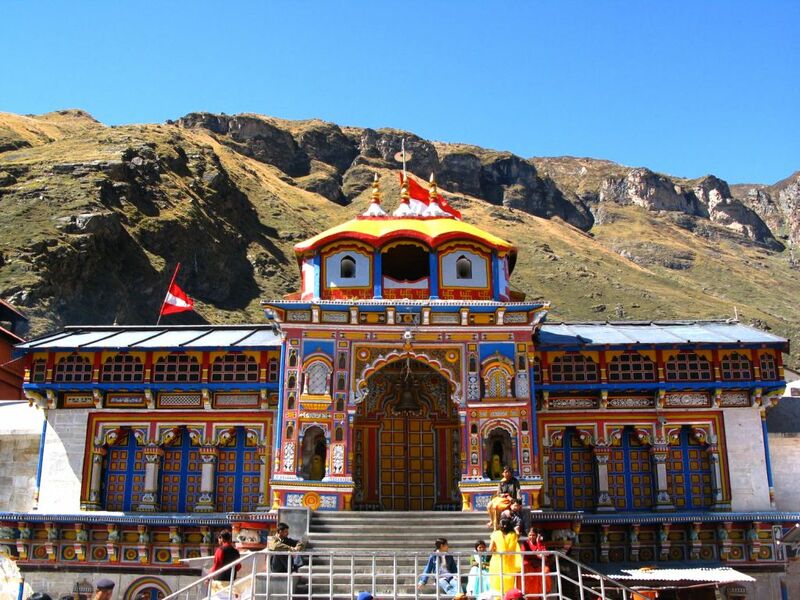 The picture below is the Temple of Sri Badrinath this place has a lot of reference and connection with Hindu Epic Mahabharata. The natural beauty is so mesmerizing that I was just busy absorbing nature, mountains, rivers and valleys. Just picture perfect every landscape had a story to tell. I could just keep looking in one direction for hours in great awe and love. I really wanted to experience meditation in this Tapobhumi (land of meditation and penance) thousands of great yogis and sages and even gods have meditated in this land. To share the same energy was a blessing, I pulled myself together and sat down to meditate and tune in to the vortex of energies. Our mind is amazing it keeps us so occupied through the 5 senses that you want to continue see, hear the birds and feel the cool breeze. It was so difficult for me to close the eyes but at last I decided I will not open my eyes and sit and meditate and connect within.I was so full of gratitude and reverence. Initially all the stories of Mahavtar babaji, Shiva Ji , Vishnu Ji and Pandavas were flashing in my mind then gradually the anxiety to expect miracles disappeared. I was there with my Being. The following conversation was an outcome of my interactions during the Journey and while introspection. 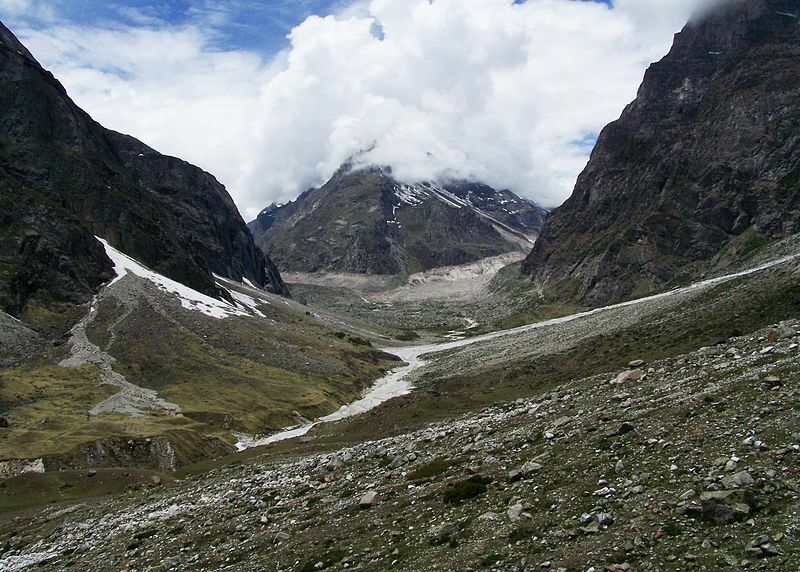 In the vastness of the mighty mountains and open sky we appear as minuscule creation of God but we are part of the hologram which is called the Source/God/Allah/Rab 🙂 it is upto us what we do with this truth. We can either go into denial and detriment our own growth or build upon the truth and manifest our greatness. Every person every being in this space time reality is perfect in its own way, there is no need to judge the journey and expansion of others instead focus on our own expansion. There is no competition and there is ample space for everyone.However since the childhood we are told we have to be better than others and it makes our life miserable trust me we all are blessed with our unique gifts.We are a living spirit just discovering our own potential every day. Just like every piece of the apple pie has the essence of the apple it is made of we all have the essence of source within us. Most of us worship this essence in others and create a separation between God and ourselves. We ourselves have created a separation of what is God and what is not. However if we look from the eyes of Source/God everything has come from the Source and hence is Source in its essence. So I am no less a Source you are and you are no less Source than I am. The ego automatically gets battered and exits. Time is an illusion in the third dimension it creates a separation between past , present and future however if we see from higher dimension perspective every moment is about NOW; Most of us look for an escape from living the life in Present instead we want to dwell in the past or plan for the future. The one most important revelation was aligning with our being in every moment. Accepting ourselves instead of waiting for the perfect version to show up in the future. This always creates an illusion of the gap, an illusion that there is a distance between you and your perfect reality thereby creating anxiety, grief and repentance.